The Steinway Society celebrates its twenty-second anniversary season. We are thrilled to bring to you an outstanding program of internationally celebrated pianists in our 22nd season. The program features both solo and chamber music from Bach to jazz. 3:00 PM Sunday, September 18th, 2011 Konstantinos Papadakis. Reviewed by the Boston Globe as “A fiery soloist….displaying great variety of attack, poetic lyricism, and wrists of carbon steel” Mr. Papadakis has performed in concert throughout the world, from Russia and southern Europe to New York’s Carnegie Hall and Canada. Celebrating the bicentennial year of Franz Liszt, Konstantinos Papadakis will perform ‘The Short Liszt’, a dazzling program of Liszt’s miniature masterpieces along with the B minor Sonata. Esma Pasic-Filipovic has performed as a soloist and a chamber musician in former Yugoslavia, Austria, Denmark, Switzerland and the USA and has recorded many solo and chamber works, as well as concerti of Mozart, Beethoven and Grieg. Larissa Korkina has performed numerous solo, chamber and accompanying concerts in the tri-state area, including special functions at the Garden State Center, McCarter Theater, and Richardson Auditorium. The program will include works by Lizst, Schubert, and Mendelssohn. 3:00 PM Sunday, Nov. 13th, 2011 Joanna Chao, piano and Robert McMahan, accordian. Taiwan-born pianist Joanna Chao’s performances have been described by the New Britain Herald “stunning exhibition of virtuosity and style”. A strong advocate for new music, she is a member of the critically acclaimed Argento Chamber Ensemble. Robert Young McMahan is an award-winning composer, noted and recorded classical accordionist. The program will include works by Mozart, Lerdahl, Bartok, McMahan (world premiere of a work for accordion and piano), Liang, and Liszt. Rosanne Nahass has been attracting wide audiences with her popular lecture/recitals, featuring rarely heard masterworks. 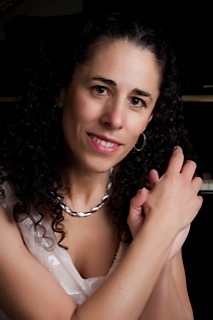 She has been described as “a performer of expressive power and outstanding musical clarity who can introduce audiences to the most complex works through accessible and well-informed pre-concert lectures.” She will present the monumental Diabelli Variations by Beethoven with an introduction and demonstration of the musical ideas found throughout the work. Dr. Nahass received her Fellowship Diploma in music from Trinity College London, BA from Rutgers University, and MD from Robert Wood Johnson Medical School. 3:00 PM Sunday, Feb. 19th, 2012 Igor Resnianski. A Steinway artist, Mr. Resnianski is a prizewinner of many piano competitions including the First Prize of the New Orleans International Piano Competition. Mr. Resnianski made his concerto debut in America in June 1996, performing with the Fort Worth Symphony Orchestra under conductor Keri-Lynn Wilson. He has been featured on the PBS/WHYY Y-Arts television channel performing Scarlatti. Born in Rio de Janeiro, Brazil and living in New York since 1989, Luiz Simas combines his talents as a composer, singer and pianist. Mr. Simas has given sold-out performances in several venues such as the Weill Recital Hall of Carnegie Hall and in jazz clubs such as Birdland in New York City. His program will include his newest work, “Mata Atlantica (Atlantic Forest) Piano Suite”, followed by music by Nazareth, Bittencourt, Pernambuco and some of his original “chorinhos”.